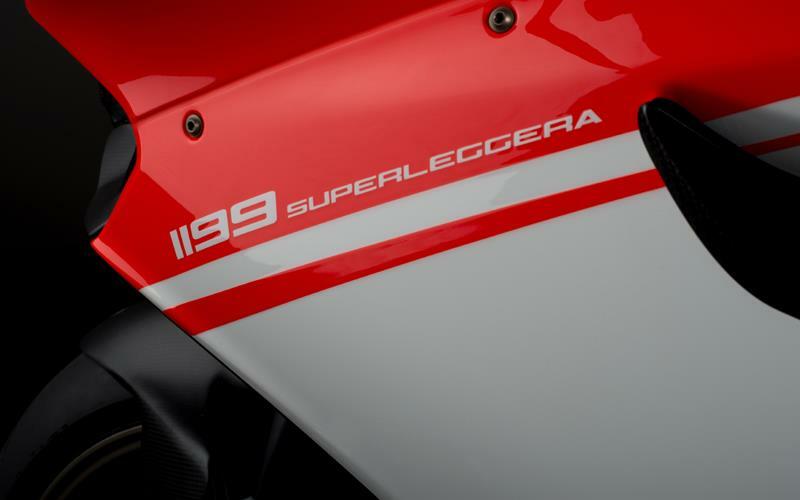 Ducati has finally released full details of the 1199 Superleggera limited edition superbike. Magnesium and titanium abound, and the combined weight loss results in a bike weighing just 155kg dry – 177kg fully wet and ready to ride. That’s not a lot of weight to push around, and with a claimed output of ‘in excess of 200bhp’, you’re unlikely to ever feel short of the necessary grunt to do it. 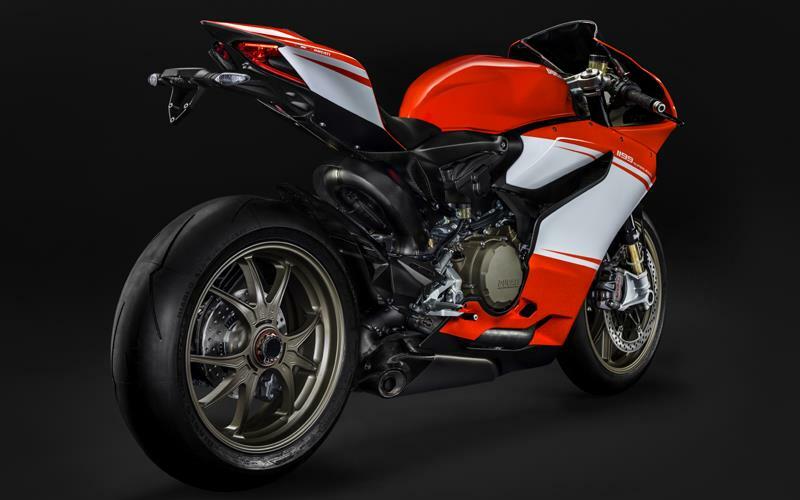 With just 500 examples of this ultimate iteration of the Panigale being created at the Borgo Panigale factory, there’s little chance of them clogging up the window display at your local dealer any time soon. Each bike will sport an individually numbered engraved top yoke bearing its identity. The foundations of the Superleggera are built on the already extreme 1199 Panigale R, with almost every item of common metal replaced by something lighter. The monocoque frame is magnesium, as are the forged Marchesini wheels and front subframe. 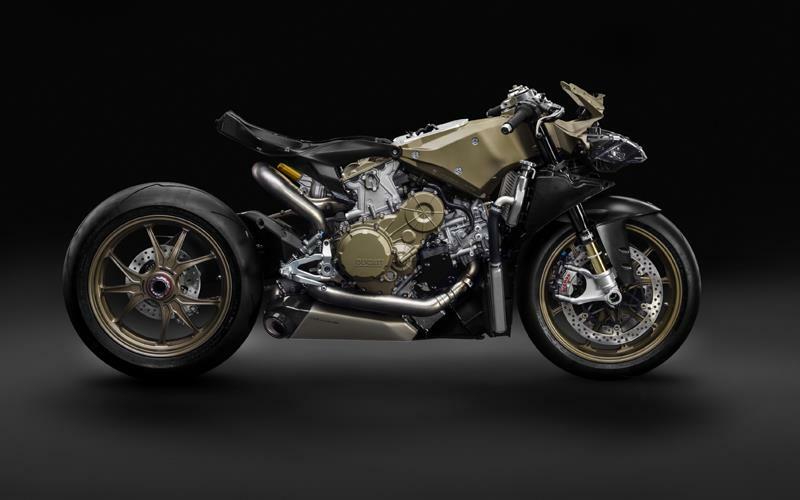 Continuing the weight-loss regime, the rear subframe and all the fairing panels are carbon fibre, while a lithium-ion battery (LIB) and full titanium exhaust system with stainless steel headers each contribute further. A good proportion of the bolts and fasteners on both engine and chassis are also titanium. It all adds up. The fork is upgraded to a lightweight Öhlins FL916 item, with fully-machined fork bottoms supporting the Superleggera’s Brembo M50 Monobloc brakes. Taking care of the rear end is an Öhlins TTX36 shock, complete with a titanium spring. Even the rear sprocket gets the treatment, fashioned from lightweight Ergal, and running a World Superbike-spec 520 drive chain. The Superquadro engine, which already boasted titanium con-rods and inlet valves in R spec, now adds titanium exhaust valves, and, for the first time on a Ducati road bike, special two-ring pistons. Added to this is a super-lightened crankshaft, precision balanced using dense tungsten inserts. There’s also a track-only ‘Race Kit’. The kit, which increases power by a further 5bhp, and reduces weight by 2.5kg to an incredible 152.5kg (dry), comprises a titanium Akrapovič race exhaust system including silencers and 2-in-1 collector, high racing screen, machined mirror fill-caps, and removal kits for the registration plate holder, and sidestand. You also get a dedicated dust cover, and front and rear paddock stands, so that you can tuck it away in the garage for winter. 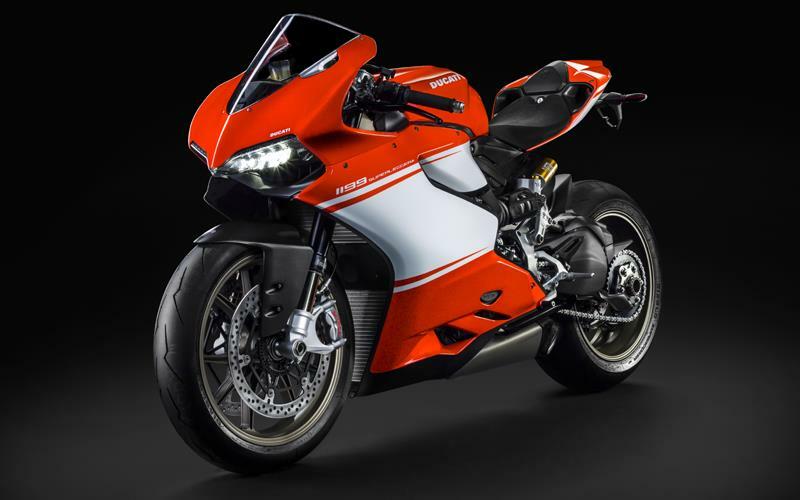 With so many changes to the hard parts, it’s no surprise that the Superleggera gets the full benefit of Ducati’s electronic department. A new Ducati Wheelie Control (DWC) system, based on an Inertial Platform, works in conjunction with the Ducati Traction Control (DTC) and Engine Brake Control (EBC), and now gets automatic calibration for the rear- tyre size and final drive ratio – allowing track-specific set-ups to be fully supported by the electronics. The Ducati Data Analysis+ (DDA+) system gets an additional sensor and software channel too, so that it can record and display vehicle lean angles. 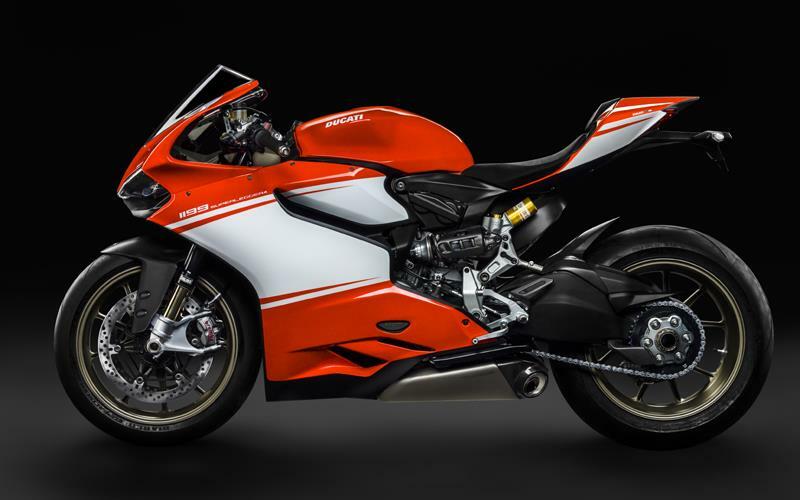 You won’t be surprised to learn that it’s only available in Ducati Corse Red, with some areas of bare carbon allowed to show around the edges. The price? Well, if you have to ask… Ok then, it’s £54,000 sir. See the full story in tomorrow’s MCN. Rear suspension Fully adjustable Ohlins TTX36 unit with titanium spring. Electronic compression and rebound damping adjustment. Adjustable linkage: Progressive/flat. Aluminum single-sided swingarm. 4-point adjustable pivot.